I know technically.. this might not be in the right forum section, but it's electrical in nature .. as are "Radio, telephony and radar equipment". 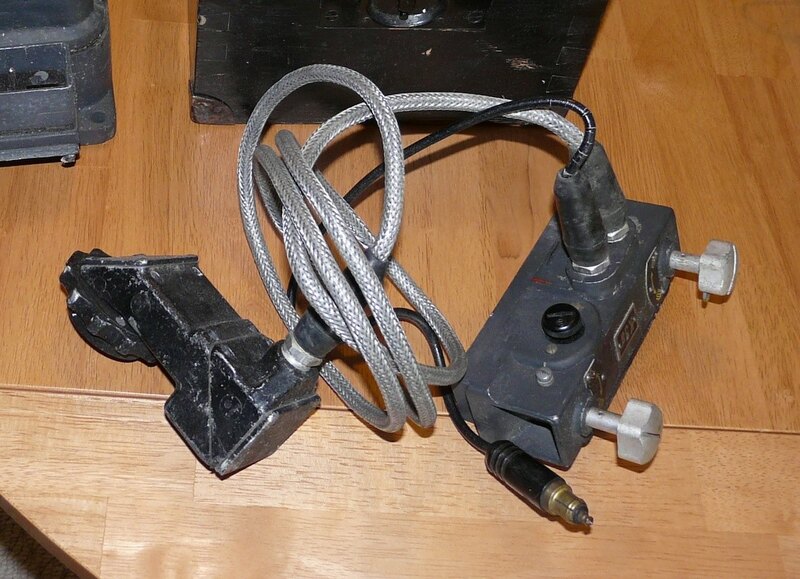 Does anyone have any idea where a similar rubber boot / cable could be sourced from, see photo ..
, I'm working on a replica of the KU3 connector block to connect the KU3 power supply and the special screw on connector.. into the base of the Gyrokompass itself. I'm pretty sure there is no wiring diagram available for the two connectors themselves ?. Very best wishes .. Ian "feind-hort-mit". Yeah, this is an extremely rare piece. I found the complete set on Ebay for Jacques Littlefield 's Panther. But that's the very last one I've ever seen. That photo you have is the one I took from that set. I have original WW2 German cables and boots here. They are actually Luftwaffe. The boots I also have...maybe 1 or 2 spares...will have to go through my electrical parts box. Some GREEDY person here on the forum has the complete wiring set-up for the Gyro (along with a gyro). I offered him top dollar for the set...and then after closing a deal...some idiot in Europe told him the compass and plugs were worth 6000,00 euro, and not to accept my offer. I'm not sure the word "GREEDY" is appropriate here. When you are assisting a buyer with rather large resources, you have disproportionate means at your disposal which seems unfair at times. May I ask - do you have a fully restored Panther to put one of these devices into? So ground dug restorable ones are the order of the day these days. Thank you for your messages and help, best wishes.. Ian "feind-hort-mit"
what an amazing post-Christmas .. present. Thank you very much indeed Funksammler, that is quite brilliant mate. Best wishes again .. Ian "feind-hort-mit". I'm wondering how long the 12v power cable (for the illumination of the Gyro)) would need to be, to be able to reach the nearest socket ?. There are a couple on the instrument panel, I think there's one on the underside of the hull roof .. probably a meter away though !. So the question(s) is / are , how long does it need to be for use in the Tiger ?, and is there a hidden socket somewhere closer ?.